You’ve done a handful of 5K and 10K races. You’ve heard your friends and every magazine out there tell you how fun and manageable a half marathon is. You are ready for a new challenge, and the half marathon is the next logical step. Despite all of this you’re still nervous, and I don’t blame you! While I am here to tell you the half marathon is not an impossible distance, you should not step on the starting line without making sure you are fully prepped to take on the day. Like anything, there are a million and one ways to get from point A to point B. That said, if I could emphasize one thing in the half marathon it is the art of pacing. The half marathon is a distance that unlike shorter distances requires you to be very pace conscious. If you go out too fast in a 5K you can usually muscle through a painful last half mile (and that is usually all you will have to muscle through). If you go out too fast in the half marathon you could be suffering for a long, long time. Broken effort or “two-a-day”. Here you simply run twice with at least 4 hours in between runs. You can break this up as a longer run in the morning followed by shorter later in the day, or as equal distance runs. When starting out, keep the pace of these runs aerobic and stay in heart rate zones 1-2. You are simply adapting to the pounding and getting trained on smart pacing. Examples may be 5 miles in the morning followed by 3 in the evening or 4 miles in the morning and evening. Long run with a fast finish. Here we simulate race day fatigue and again pace awareness. 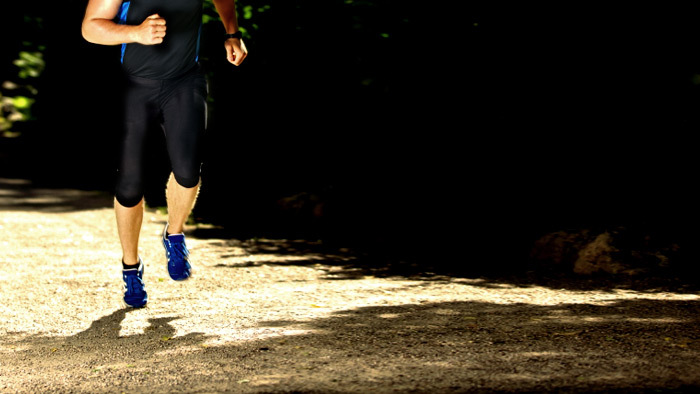 The first ¾ of your run should be at an aerobic pace, so stay in zone 1-2. The last ¼ you will gradually build your pace every few minutes such that you simulate that “tired leg” feeling so common in the final miles of any long event. When you do this think “light feet, fast feet” and relaxed shoulders and breathing. Shorter 10K paced/tempo intervals. Examples include a 4 mile tempo at 10K pace/effort or 3-5×6-8 minutes at 10K pace with modest recovery (around ¼ of the work interval). Longer sub half race pace tempo. Start with approximately half of your race distance, 6-7 miles, run at slightly under goal race pace (10ish seconds per mile). You can progress this by adding distance or increasing your pace slightly. Be careful not to turn this into a 10K race. If there is any one workout that will teach you pacing it is the progression run. The name of the run is a dead giveaway as to how it is set up. You progress your pace from start to finish. A well-executed progression run has each mile slightly faster than the last. To do this you cannot start too fast and you have to be very aware of your effort and pace. Start modest with a 4-5 mile progression and build to making a long run into a progression run (but do not confuse this with a long run with fast finish). The first mile is warm up and the second is still a very gradual build into comfortable pacing. From this point on, make each mile a controlled effort to notch the pace up slightly. When you finish a progression run you should feel like you are finishing strong but within yourself, almost like you could extend the run another mile or two without strain. These workouts are foundational in nature. They make up the backbone of a good half marathon training plan. If you can effectively execute these workouts you will have a heightened sense of proper pacing and confidence in your body’s capacity to shift gears when needed. Above all, your legs will be ready to tackle 13.1 miles with conviction! Briana Boehmer leads Team Sports Sales at TrainingPeaks. She has been a TrainingPeaks user for over 8 years, guiding runners and triathletes to reach their personal best at any level from competing at Boston or Kona to reaching the finish line for the first time. She is a former Division I runner and current elite level triathlete. Prior to joining TrainingPeaks Briana directed development on wellness technology and corporate wellness programming. You can follow her on Twitter at @BriBoehmer or visit her website at'www.teamboehmer.com.